You Actually Save Money By Hiring A Pro! Many people think that DIY house painting will save them money, but this really isn’t true. A professional house painter will prep the house properly before starting the paint job. This is a painstaking process that must be done correctly for lasting results. If you don’t hire a pro, your house may look great with your DIY paint job for a short time, but it won’t be long before you have a mess on your hands. If you are thinking of doing it yourself, you may believe that your paint job will just cost you the amount of the paint and equipment, but that is a false notion. Because there is more to painting a house than just slapping on a coat of paint, there are other considerations you must factor in. Aside from this, you need to consider the value of your time. It will probably take you longer to paint your house than it would a professional house painter. Time is money, and the hours (or days) you spend struggling to paint your own house could probably be put to better use. If you paint your own house, you are on your own when something goes wrong. If you go with a pro, you can get a guarantee. Generally speaking, professional house painters will guarantee their work for three-to-seven years. Go over the guarantee with the house painter of your choice so that you are sure you understand exactly what is covered. As with any other service provider you hire to work in and around your home, you want to be sure the person you select is trustworthy and responsible. A good, professional house painter will provide proof of his/her own reliability and that of any assistants who will be on your property. Additionally, true professionals carry ample insurance to cover themselves in case of damage or injury. Once your professional paint job is complete, your home will look just fantastic. Aside from that, it will be easier to care for. A professional painter chooses the right paint to produce an easy care surface that will deflect the elements and look great year after year. 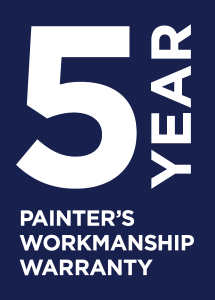 With the right paint job and a guarantee in place, you won’t have to worry about repainting for years to come. Derek Holland knows his business and can provide you with top notch materials and service. A real pro who has the best equipment and access to the highest quality materials, he will naturally produce a much better looking and long lasting paint job. When you hire the right person for the job, you will surely be impressed with the end result. Painting Solutions covers all metro areas of Perth. Contact us today! 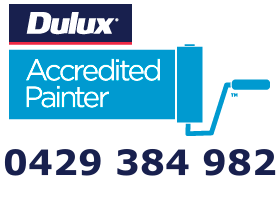 Unique quality control list for every job, luxury of your home being painted by professionals, colour consultants available on request, payment options, clean & tidy workmanship, risk free 5 yr warrantee where Dulux materials are used, fully insured and registered.